The Life-gardens of Groot Hontschoten are multifaceted, inspirational and they give much positive energy. You are guided along a specially designed route of about one mile (with a variety of options during your walk). The outer route indicates that anything is possible, the sky is the limit, there is luxuriance without order. But as we continue along this Life-path, more structure appears, sometimes bordering on formality, just like you can see in our daily lives. We sow our wild oats, we become older and wiser. A tour of these Life-gardens tells a story. A life-story, in which you, the visitor, will encounter and recognize the most important elements of human lives. By means of subtle planting, gardenfollies, various constructions and works of art, a special world full of western and eastern symbols has been created, a world , in which the Life of Man is told in a philosophical and symbolic fashion. Along impressive waterworks, an island with a bower, a temple, a jungle, a subtropical valley, standing stones, gardens with colour themes, a rockery, a mineral garden and an iris-valley, you eventually find yourself in the heart of the Life-garden: the white garden. Halfway the walk you can rest a while in the tea-pavilion, with a subtropical beach nearby. 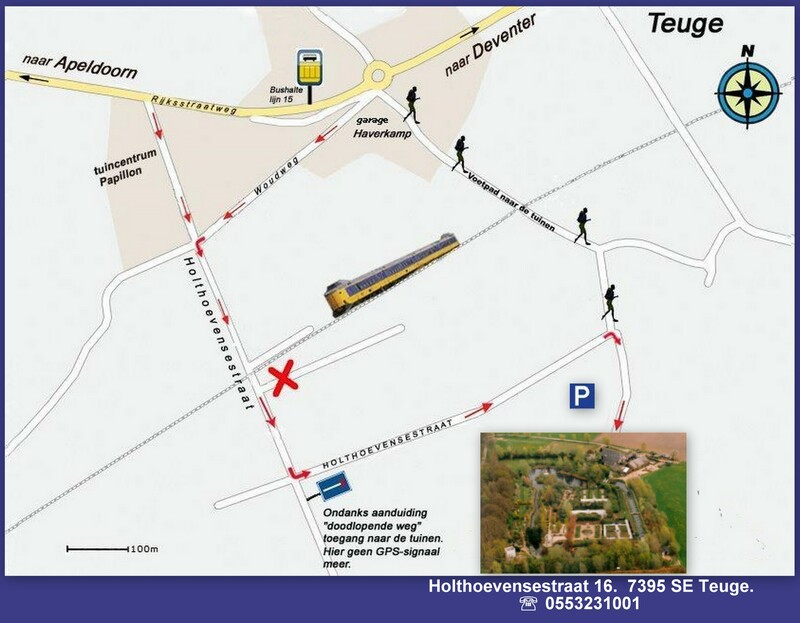 In 1993, Charles van de Nieuwegiessen and Hans IJzerman bought the farm “Het Groot Hontschoten”, including 2 hectares of maize-land and meadows. They are the owners and the creators of these gardens, which cover an area of 1.6 hectares.When you realize that, besides putting an enormous amount of energy into these gardens, both men have part-time jobs in the public health sector, you can only feel a deep admiration and respect for what they have achieved in the last few years. Fortunately there are volunteers, men and women, who are cherished. Without them this natural challenge and discovery was and is not possible at the present level. Your help is also very welcome , ask us for information!